Make the most of each vacation when you buy a Connecticut timeshare. You'll soon see that the state is still an undiscovered gem. A Connecticut timeshare in the northwest allows for perfect snow-skiing weather. At the coast, charming lighthouses are enveloped in fog, making for scenic picture-taking opportunities. Built upon the lavas of great Mesozoic volcanic eruptions, Connecticut is a fabulous hilly landscape dotted with 230 lakes and ponds, 137 state parks, and 800 miles of hiking trails. 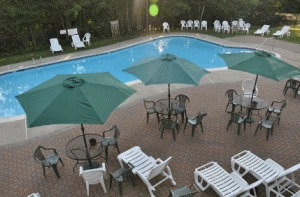 If you're looking for a vacation destination with not only serene peacefulness but also fun attractions, then it's time to rent Connecticut timeshare. The aptly-named Lighthouse Inn Resort in New London has the comfort and amenities you're looking for in a vacation property. You'll find picturesque scenes throughout Connecticut, from Hammonasset Beach State Park in the Greater New Haven area to Dinosaur State Park in the RiverValley. Other interesting stops along the way in the Greater New Haven area include the ThimbleIslands off the coast, the lighthouses at Long Island Sound, and a tour of the Amistad Freedom Schooner. You can also visit Yale University, which first opened its doors over 300 years ago, in 1701. 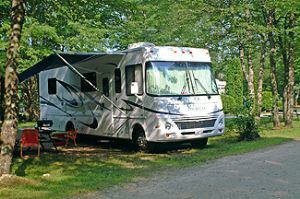 The fascinating historic sights and trails of the state will appeal to travelers of all ages and interests, and this will become evident if you're looking to sell Connecticut timeshare. If you're looking for some indoor entertainment, the Shubert PerformingArtsCenter and the Connecticut Audubon Coastal Center are located in the area as well. DinosaurState Park isn't the only way to get a history lesson in the River Valley area. 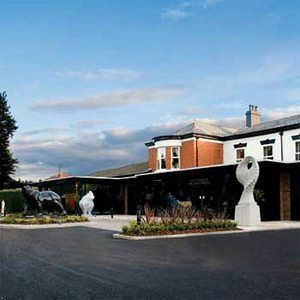 The New Britain Museum of Art offers a collection of over 5,000 pieces spanning over 300 years. In addition, Connecticut's first colonial prison, the Old New-Gate Prison and Copper Mine, is open to tourists. It was established over 300 years ago, in the early 1700s. 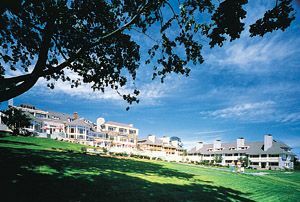 When you buy or rent Connecticut timeshare in the RiverValley area, you can also visit the Harriet Beecher Stowe Center, or stand witness to the daily cannon-firing ceremonies at the Old State House, which is the site of George Washington's Revolutionary War meeting with the French. In the Coastal Fairfield area, even more museums, historic sites, and nature preserves await your discovery. Here you will also find the Beardsley Zoo and Connecticut's Maritime Aquarium. The Brookfield Craft Center, which produces, displays, and sells top-notch contemporary crafts, is set in a restored colonial mill and is located in the Litchfield Hills area. Litchfield Hills is also a wonderful venue for antiquing. These are just some of the reasons a Connecticut timeshare makes for great family vacations. Your Connecticut timeshare vacation wouldn't be complete without a visit to Mystic County, where Route 169, one of America's National Scenic Byways, provides for a peaceful drive. A second and equally fantastic aquarium is located in Mystic, the Mystic Aquarium for Exploration, which has nearly 3500 aquatic creatures as its tenants. Mystic County is also home to beautiful Foxwoods Casino, in case you're feeling lucky. Buy Connecticut timeshare in this area for a fast-paced, adults-only gambling getaway! Connecticut's metropolis areas offer a wide variety of entertainment, including dining, shopping, and spas. However, outside the city limits you'll find just as many itinerary options. You can hike the Appalachian Trail, play a round of golf, or try your hand at fly fishing in the Connecticut River, which is over 400 miles long! You might also enjoy a scenic train ride, where you'll marvel at Connecticut's bevy of delightful covered bridges and magnificent rose gardens. Perhaps you'd enjoy a visit to the Mark Twain house in Hartford, or the mystifying Indian Burial Grounds in Norwich. As you can tell, if you're looking to sell Connecticut timeshare, a vast array of attractions and unique regional scenery will appeal to any buyer. However you choose to spend your time at your Connecticut timeshare, more than 200 days of sunshine a year assure your plans won't be dampened by the weather. Summers are cool and comfortable and winters are frosty enough to provide for great cold-weather sporting. Come see what Mark Twain had in mind when he said "of all the beautiful towns, it has been my fortune to see this is the chief." Experts at BuyATimeshare.com await your call, whether you plan to buy, rent or sell Connecticut timeshare. So, if you are looking to sell Connecticut timeshare, BuyATimeshare.com has the advertising outlets you need. 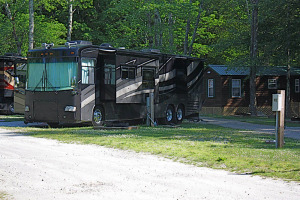 The beautiful scenery and elegant resorts of Connecticut will only add to the value of your property. in the Greater New Haven area to Dinosaur State Park in the RiverValley.